Please type a term to search. RESOURCE LIBRARY IS NOW OPEN! Expand Your Knowledge! 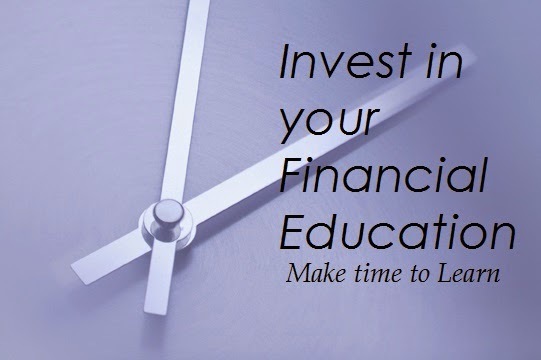 Attend the FREE Financial Seminar from IMG Wealth Academy NOW!!! I never thought that this amazing opportunities will happen to SavingsPinay. Looking back from the month and year that I started this blog, I never ever imagined closing to 5,000 pageviews. Financial Literacy or shall I say Business and Finance niche has been very foreign for Filipinos, including me. SavingsPinay’s vision has always been empowering people to take advantage of their age. I believe that we are never too young or to old to dream, to have a goal and to take an action. As a 21 year old I feel blessed that I learned valuable financial concepts early. I was able to earn my income at an early age , I knew how to budget, I had dedicated a growing emergency fund and I started to invest for my future. But I know that NOT EVERYONE is fortunate to learn the basics of personal finance. There are those who have access to information but refuse for they are afraid to know the truth. Then there are those who have zero access and do not know where or how to start their financial freedom. So come a new vision and mission for yourstruly, SavingsPinay. Starting March 2015, a better, brighter and bolder opportunity awaits for this blog, for me and for YOU! SavingsPinay and IMG Wealth Academy are now Partners! I am keeping this as a secret for about a month now but yes, as the owner and author of SavingPinay I am proud to announce that I agreed for a collaboration with IMG Wealth Academy to bring financial knowledge access to everyone. No families will be left behind! Who is IMG Wealth Academy?! You may have heard about IMG Wealth Academy to either Sir Bo Sanchez of the Truly Rich Club and/or Sir Fitz Villafuerte of Ready to be Rich. IMG Wealth Academy stands for International Marketing Group Wealth Academy. IMG Wealth Academy is a school which conducts financial management seminars on topics such as investment, debt management, personal development and entrepreneurship. There are 33 current seminars aka series that are being conducted in the IMG Wealth Academy and classes are held on a daily basis around the Philippines and even outside the country. This financial institution is brought to you by International Marketing Group, one of the biggest financial distribution company in the US, Canada, Taiwan, Hongkong, Philippines and other countries worldwide. The idea is to spread financial literacy for it is needed and it is wanted at the very moment. What Financial Stage Are You in? In elementary even in High School and College, there’s no subject that taught as about how to manage our money, how to budget, how to know our net worth and so on. We grew up not actually knowing one of the foundation of our life as an adult… FINANCE. Thus, Series 1 Personal Money Management Strategies and Series 2 Financial Planning and Goal Setting Workshop is OPEN and FREE for everyone! YES!!! FREE!!! You can attend the seminar either alone or together with your loved one and friends and learn more about financial freedom. Remember though to reserve a seat via the registration form below this post. The seminar last for 1-2 hours. *The Higher Series is open for those who are members or associates of the IMG Wealth Academy. Give Me Enough Reasons to Register for this Free Financial Seminar! I know that you might be the busiest person ever but just like what I told you in #8 of Most Important Lesson in Personal Finance, (1) Invest in Your Financial Knowledge. If you don’t make time to learn then how will you learn?! Another is that, (3) Financial Education is the most powerful weapon to Stop Poverty. If you want to be rich then learn how to be rich in the first place. You only invest in what you understand and these seminars are meant for you to understand better how the financial system works. (4) You’ll meet a lot of successful persons. There is nothing more “nakakakilig” that become surrounded by passionate, goal-driven and successful person ready to encourage you as you start your journey to financial freedom. You will meet them face-to-face and they are all accommodating to share to you how financial educations had changed their lives! Lastly, (5) join for there’s nothing to lose but only more to gain. You are meant for a higher and better calling! Do not settle for an average life. Make sure that you know how to build a strong financial foundation! I cannot blame you if this question and doubt is in your mind. After all, almost all “invitation” can either lead to another selling or forced buying meet-up. Don’t worry there will be no selling and you won’t be forced to sell at all. IMG Wealth Academy is just focused to bring you the concept of financial freedom as well as the application. Hindi ko po itataya ang pangalan ko at ang pangalan ng blog na ito, para magbenta kayo. You’ll go to the venue, smile with other attendees, seat, listen and take down notes.You’ll learn the basics and the concepts but at the end of the day it will be your own decision to apply the knowledge in your life! If you are interested with these FREE Money Seminars by IMG Wealth Academy then make sure to fill up the form below OR send me an email at izzaglinofull@gmail.com so that I can personally arrange your seminar. Again, if you are near the Makati Head Office I do hope that we can meet! Sir David Sagarit whom now I call as My Friend, My Financial Coach and My Mentor will also be glad to assist your registration! GCash Invest Money Review | Making Investing Simple! Do You Have Poverty Mindset? The 50-20-30 Budget Rule and How It'll Save Your Finances! Reader Question | Where Should I Invest My Money? Here's My Financial Bucket List, What's Yours? Reader Question : How to Avail a St. Peter Life Plan? How Do You Picture Your Retirement Age? Is Financial Independence a Realistic Goal for Pinoys? Where Does Your Income Go? Join Me in SavingsPinay's Facebook Community! Does Customer Rewards Card Really Work? How Much Do I Really Make? READER QUESTION | How to Save Money and How to Become a Millionaire? SAVINGSPINAY SERIES | Day 1 : Mutual Fund: Ano, Sino, Saan, Kailan, Bakit at Paano? I'm Just 21 Do I Seriously Need a Life Plan? SavingsPinay's August Quick Recap + Join Our Facebook Forum Group!!! Financial and Personal Goals 2015: Mid-Year UPDATE!!! 10 Things You Can Do in Your 20’s that will Change your Financial Life Completely! Isang Pagbati para sa mga Kapwa ko Empleyado! Join Me in SavingsPinay's "The Wedding Series"
The Time is Running Out!!! Learn the Importance of Saving Money NOW! Reader Question: What's Your View on "NETWORKING"
Financial Literacy: The Key To Growing Your Money Unknowingly! Budget Categories: A Basic Guide for Your Next Spending Plan! Reader Question: What do you think are the best FUNDS in FAMI that I should start with?! Are you ready for the 14 Day Productive Living program? Starts Tomorrow!!! Want to Start the Year Anew?! Join the 14-Day Productive Living Program NOW! A Merry and Happy New Year from SavingsPinay! Looking for Personal Finance Apps? These 4 Apps can be the Answer! How to Make a Fresh Start in Life? How I Balance Life and Work? SavingsPinay's first eBook attempt is DONE, Register for a copy NOW! Want More Money? Cutoff on These 6 Financial Traps! READER'S QUESTION: What do you do na di mo nagagamit yong nasave mo ? Have You Seen the New and Imporved BrewYourBestYear Website??? My BPI Save Up plus Insurance Update!!! Commenter of the Month WINNER!!! READER'S QUESTION: Should a 21 year old save up money or spend it on things that make him happy? Ang Wallet Kong Di Nauubusan ng Laman!!! Introduction to New SavingsPinay Pages!!! READER'S QUESTION: How does FAMI work??? Why You Must Know Your Financial Net Worth NOW! READER's QUESTION: "Which is better Savings Account, Mutual Fund or UITF?" MORE THINGS THAT RUIN MY SAVINGS... and again MAYBE YOURS TOO. What is Peso-Cost Averaging Method? How To Save within Your Salary? How to be Financially Blessed? METROBANK WEEK: How to Enroll in Metrobank Direct Online Banking? Is Google Adsense a Scam? How to Retrieve Your BPI Express Online Account Name and Password. Financial and Personal Goals 2013 UPDATE!!! 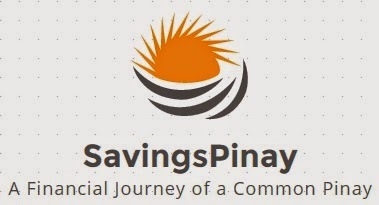 SavingsPinay is a personal finance blog of a common Pinay. This blog promotes financial literacy for the young and young at heart by providing insights and tips on budgeting, saving, investing and online entrepreneurship. Set to be the #1 Personal Finance Blog in the Philippines, SavingsPinay guarantees quality posts every Monday, Wednesday, Friday and Saturday!